A dead or dying battery, shot alternator, or squeaky drive belt can negatively affect your car’s feel and overall performance. Don’t let these charging and starting systems hamper your vehicle any longer. At Clarke’s Discount in Aloha, and at Clarke’s European in Vancouver, we specialize in diagnosing, repairing, and replacing each and every aspect of your domestic or Asian vehicle’s charging and starting systems, from battery testing and service to alternator replacement to starting assemblies, switches, and cables. Because there’s more to your car than just the mechanical stuff, we aim to provide quality care to your vehicle’s other systems to ensure a longer lifespan and optimal performance throughout. Battery Service: Car batteries are built to run optimally for up to three years. Within four or five years, many car batteries lose complete reliability, and a bad battery can leave you stranded and in desperate need of a jump. Don’t let this happen to you. Regular charging and testing, as well as routine replacement when your battery has reached its lifespan, can help you avoid problems and unnecessary calls for back-up. At Clarke’s Discount, we can test and charge your battery, as well as replace it with a brand new one to keep your vehicle charged up and ready to go. Alternator Replacement: The alternator is almost like the brain of your vehicle, generating all of the electric power in the car and serving as a major component of your vehicle’s charging system. If your battery seems to always be drained, or if your vehicle is continuously stalling or dying, there’s a good chance you need to replace your alternator. Clarke’s can help replace and repair your vehicle’s alternator to give your car the juice it requires. Drive Belt Replacement: A car’s drive belt (also known as a serpentine belt or a fan belt) ensures the vehicle’s accessories are running properly. A bad or dry drive belt can cause many system failures, including in your alternator, water pump, power steering, air conditioning system, and more. Clarke’s will help you determine if you need a belt replacement and handle your job quickly and efficiently. Starter Assemblies, Switches and Cables: Car not starting, but all your lights are still turning on? Well, then you know it’s not an issue with your battery or alternator. Chances are, your vehicle could have an issue with its starter. 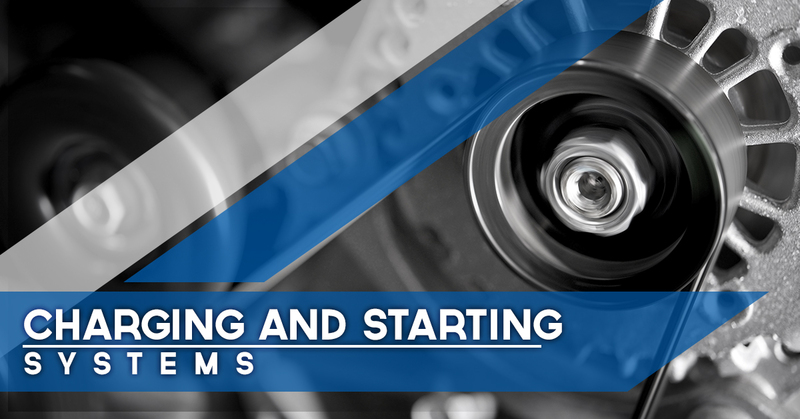 Setting up a proper starter assembly ensures that your engine can be rotated properly. In other words, it makes sure your car starts up and runs. Whether you need a new solenoid or a starter motor, we can make sure that when you turn your ignition, your vehicle has the power and capability to take you where you need to go. Clarke’s Discount has served the Aloha area for over 30 years with quality, trusted discount automotive services. We aim to keep your domestic or Asian vehicle in line with factory warranties in order to ensure its smooth operation, helping you cut down on costs and headaches. Call Clarke’s Discount today to get your free diagnosis.